Cobalt Currents - Social Licence and Wild Catch Fishing - Why care? You are here: Home / Blog / Cobalt Currents – Social Licence and Wild Catch Fishing – Why care? This is the second of a 3 part series on social licence and the wild catch fishing industry. The first post introduced social licence to operate (SL2O) and what it means. This one focuses on why a high level of social acceptability is fundamentally important for wild catch fishing businesses. At its most basic SL2O is important because it demonstrates an alignment between public expectations about fisheries sustainability and the actual (or perceived) sustainability performance of fishing businesses. In general, high social acceptability or strong SL2O will support continued operation of fishing businesses, reduce regulatory burdens, and increase business security. and less dependence on government and regulators. You could say the right to take fish commercially – a commercial fishing licence – has two parts. Part A is the fishing licence issued by government (e.g. a licence, catch quota, number of hooks or traps, or amount of net allowed to be set – or combination of these). Ideally this is complemented by a tight management system meeting best practice standards for triple bottom line (environmental, economic and social) performance. Part B of the mix is a high level of social acceptability for a fishing business and the way it operates. It’s a bit like 2 part epoxy – one without the other – or both in the wrong proportions – doesn’t work very well. But together it’s a good bond. A strong and resilient rights based platform for any fishing business. When there’s good alignment between the fisheries management system and industry practice – and the public expectations of fishing industry performance and behaviour – then things proceed pretty smoothly. It’s when there’s a disconnect (real or perceived) that the power of social licence becomes more obvious. In law there is a saying – what is conferred by statute (law) can be removed by statute. Fishing rights are issued under legislation on a premise of sustainability. If this premise is substantially undermined – or if contemporary standards or benchmarks of sustainability change – then the security and/or strength of fishing rights can change accordingly. And as the super-trawler illustrated, even well established and previously strong property rights can be trumped by adverse public opinion. The two most compelling reasons to secure a strong social licence are strengthening the security of fishing access rights; and securing market access (preferably access to more valuable markets). Both objectives are also served by a strong contemporary fisheries management framework or system. But good management alone is often not enough. Recent initiatives by both Coles and Woolworths partnering with environment NGO’s (e.g. 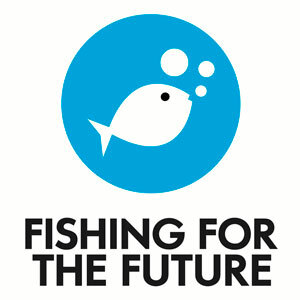 WWF) and sustainable seafood labelling initiatives like the Marine Stewardship Council (MSC) are good examples of the market advantages derived from more sustainable fishing operations. For example Coles say “You’ve told us you’re concerned about the sustainability of the fish you eat and want to receive more information to make informed choices about seafood shopping and cooking. So Coles has joined forces with WWF to work towards providing better choices for sustainable seafood for shoppers, and now 90 per cent of our seafood has been identified as a better choice in terms of sustainability. With much clearer packaging and a firm Australia-first buying policy, Coles is leading the charge to give you more sustainable seafood choices”. See Coles sustainable seafood statement. And Woolworths: “We remain deeply committed to procuring all our seafood from sustainable fisheries and responsible farming operations and are working with local and international seafood sustainability awareness and certification bodies, including the WWF Southern African Sustainable Seafood Initiative (WWF -SASSI), the Marine Stewardship Council (MSC) and the Aquaculture Stewardship Council (ASC), to ensure that all our seafood is responsibly sourced and traceable”. Woolworths sustainable seafood statement. This is their Corporate Social Responsibility strategy in action. Their way of securing social licence and a competitive advantage. They are doing it because they know the great majority of seafood consumers value environmental performance highly. Coles and Woolies are aligning themselves with those deeply held public values. Their research shows that consumers are increasingly preferencing sustainable, locally sourced seafood. And it’s not just the giants. Smaller premium quality seafood providores are aligning their business practices and strategies with demonstrably sustainable best practice fishing businesses. This level of alignment, including traceability is becoming the new benchmark for sustainable wild catch fisheries. Joto Fresh Fish in Sydney supplies leading restaurants including Aria, Tom Kime’s Fish & Co, Red Lantern, and Sean’s Panorama with demonstrably sustainable seafood. “We source MSC and Friend of the Sea (FOS) products from Australia and abroad. Apart from certified sustainable seafood, we source a large range of seafood which we consider sustainable and we are currently working on a framework to endorse fisheries ourselves through our own audit process” says Joto’s Jules Crocker in a recent Hospitality Magazine article on sustainable seafood. Is fisheries management based on good science enough? Demonstrating sustainable fisheries and securing social licence is no longer just about “the best available science”. As the climate change debate shows full well, scientific arguments and evidence based positions are losing influence in our society. A strong scientific basis for something used to be enough. Now a policy position or a personal belief that is “based on the best available science” is far more contestable and less influential. In some cases public policy seems to be less evidence based. Beliefs and ideology can be surprisingly influential. There is a message here for everyone, no matter what industry, or interest group. Logic and evidence are no longer enough. You must secure political and public blessing via a range of strategies. As Clive Hamilton says in a recent article in The Conversation: “Those who believe that more scientific facts will win the day cling to the “information deficit” model of classical science. This says people act irrationally because their knowledge is deficient. Yet facts are no match against deeply held values, the values embedded in personal identity”. As we said in the first of this series, social licence is changeable, and malleable. It needs to be watched and monitored. And when something shifts the response needs to be fast and targeted. And there needs to be money in the bank, segments of society must trust the fishing industry. They must believe the industry is achieving best practice sustainability. Then if something goes awry the public and regulators will probably give industry the benefit of the doubt, maybe cut it some slack? We all know that mistakes happen, and when they do a high level of public trust will fire-proof the fishing industry. With a pro-active trust based strategy we’ll know sustainable commercial fishing generates a lot of benefits locally, regionally and nationally. And if the industry is on the front foot – watching and responding to its social environment – we’ll know what those benefits are – and where they flow. So I hope this post has put a few more pieces of the social licence puzzle in place. In the next one we’ll look at some strategies to secure social licence. Reduce the risk, add resilience, and build social capital. Get some “money in the bank” to tide us over next time there’s a disconnect between what’s permitted under fisheries law and policy, and what the public thinks is appropriate. And if you’re attending the Seafood Directions conference in Port Lincoln 28-30 October, join Nicki Mazur and I to talk through how social acceptability influences fisheries access decisions; and discuss strategies to strengthen SL2O for our unique and valuable wild catch fisheries (FRDC project 2012/301). I’ll be looking forward to part 3!